At the beginning of this year, I decided I wanted to try to qualify for the Ironman World Championships in Kona again. Currently I am in the 40-44 age group which in most races, the winners come in around 10 hours. At the time, my PR was 12 hours. I knew it wasn’t realistic for me to take off 2 hours in one year after 15 years of hard and smart training, but looking at the winning times for the next age group 45-49 (where I will be next year), which are around 11 hours, I started to get my hopes up. So I decided on a long term goal, a 2 year plan, to qualify for Kona. This year my goal was to do the Boulder Ironman, take 30 minutes off my PR to get around 11:30, make top 10 in age group, and learn from the course how to train better next year. Then next year, do the Boulder Ironman again, take off another 30 minutes to get 11:00, make top 3 and get a slot to Kona! This year I blew my expectations out of the water. I ended up with a time of 10:56 and a 5th place age group finish. I know what I need to do next year in training to get even faster, which I will need to do as this year only the top 2 (not 3) earned a spot to the World Championships. For 2017 I want to take another 10 minutes off my bike and 5 minutes off my run. I’m putting it out there now so the Universe can work on it for the next 10 months until the race on June 11th . Thanks so much for being a part of my amazing life’s journey! I wouldn’t be where I am today if I didn’t have the best friends and family EVER!!! My friend Wendy and I like to do crazy stuff! Last year we started a tradition of running a marathon around a track to celebrate the 4th of July. 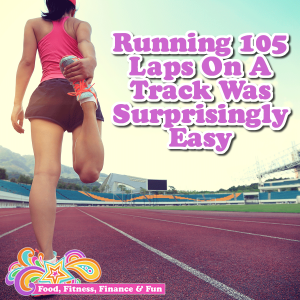 So 105 laps!! I like to say it’s to celebrate the freedom of choice and we are choosing to run around a track for 4+ hours. I also like to tell people it’s celebrating that I have the mental and physical capacity to do such a challenge. Both are true, but of course there is more to it. If you know me, you know I like to challenge my body and mind, I like to inspire others to go big, and I like the attention of doing crazy things. It helps my confidence, gives me something to talk about, and grows my businesses. After all, I can’t expect others to attempt hard things if I’m not willing to do hard things myself. And this year it didn’t hurt that I have my “A” race, the Boulder Ironman, in 5 weeks, which for me is a perfect time to run 26.2 miles. Last year Wendy and I ran together on the CSU track in Fort Collins, CO. We didn’t know what to expect since it was our first year, so we walked, jogged, ran, and mixed it up. Sometimes together, sometimes not. We had a track team training for about 2 hours there as well, so that was a good distraction watching them do drills, sprints, intervals, etc. I also was living in the RV at the time, so I had my dog, Joey, with me and I needed to take him out a couple times, so he even did a couple laps with me. All in all, we finished under 5 hours and it never felt hard or long. This year I was a little more nervous. Wendy moved to Georgia so we were doing our track marathon at the same time but in different states. I decided to run on the track close to home at Roosevelt High School in Johnstown, CO which is pretty quiet and lonely. I didn’t know how it would be doing it by myself, but was of course up for the challenge. I left my house at 7:00am to go to the store to get Gatorade. I also had a cooler with me with Beachbody Performance Endurance, watermelon, and almond milk to mix with my Shakeology in case I got hungry. I was all set up at the track with sunscreen and silicon lube to prevent chaffing covering my body and ready to start at 7:30. I grabbed my phone to start my timer and lap counter and was off and running. As soon as I started, I FaceTimed Wendy to see how she was doing. It’s 2 hours later in Georgia so she was already over halfway done. We chatted for about 45 minutes which got me through my first 5 miles. I was taking my splits of each lap as a way of counting and keeping track of my time. I wasn’t running for time, but I like to see numbers. I’m a geek like that!! I felt great! I was running at an easy pace and the only thing that felt a little sore was my lower back, but it was manageable. After my 45 minute chat with Wendy, I switched directions and started my first set of intervals. 5x (400 easy, 400 moderate, 400 fast, 400 walk).This made the next 5 miles go by pretty quickly and even with the walking, I was still averaging a 10:00/mile pace which would put me at 4:22 total time for the marathon. I then switched directions, grabbed a bottle of Beachbody Endurance, and walked 2 laps while I drank it. I finished up the “half-marathon” with a comfortable jog putting me at 2:15 for the half. I then decided to make my goal to finish under 4:30. At this point, I was also getting a lot of sun so I put on my arm/back covers, drank a bottle of Gatorade, and headed out for the second half. My knees and hip joints were a little sore, as was my back, but nothing I haven’t dealt with before, so I jogged the next 2 miles at a consistent pace. At mile 15 I switched directions again and started back with the same intervals I did before. I only got through 4 repeats when I decided to walk a couple laps, drink another bottle of Beachbody Endurance, and check my texts and facebook messages. Luckily I had convos going on with Wendy and a couple other super supportive friends that reminded me to keep going!! I also decided to look at my GPS which reminded me I was already at mile 20. With only a 10K to go!!! I was an hour away from my time goal and I knew I could do a 10K in an hour, even on tired legs. YAY!! I switched directions and changed up my intervals to 2 easy run, 1 as fast as I can, 1 walk. Each lap was significantly slower than my early intervals, and my “fast” laps started creeping over the 2 minute mark, but I was watching my lap count go up and before I knew it, I had 7 laps to go…then 4…then 1!!! I decided to walk/skip my last lap to celebrate my victory. I took lots of pics and shared my success with my friends who support and love me. I couldn’t believe it. I was done! 4:27 and I didn’t feel bad at all!! 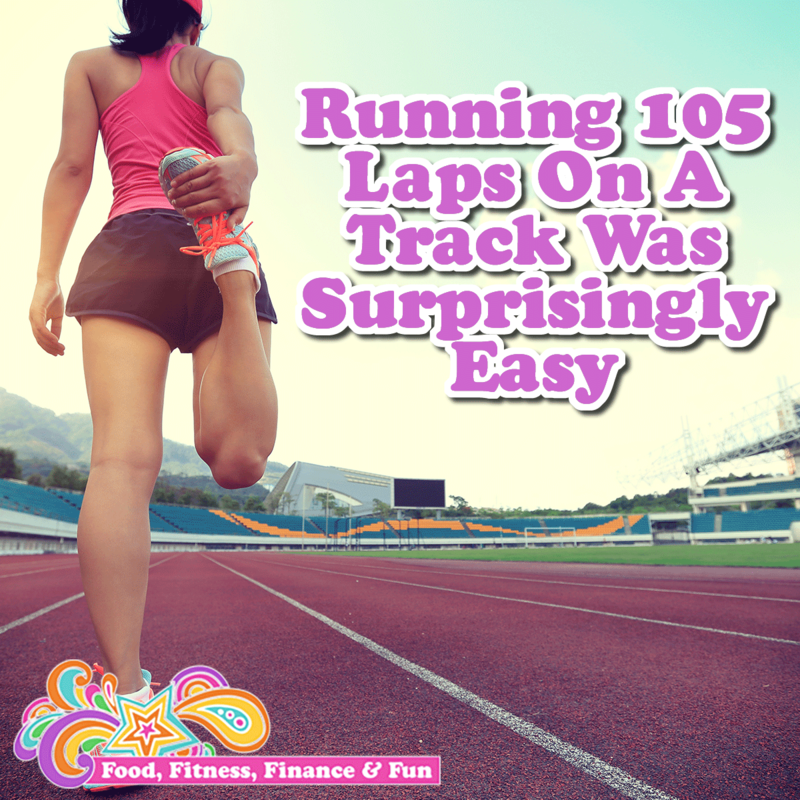 Of course my joints and muscles were tired, but I never once felt like I was struggling or miserable or any other feelings you would assume would go along with running around a track for 4 ½ hours. So why did this feel easy? I think I have done enough “hard” things in my life at this point that something seemingly hard isn’t hard anymore. Some of my biggest challenges have been 7 marathons in 7 days in 7 states, double century ride (yes 200 miles in one day), Kona ironman, living in an RV for 2 ½ years, being married for 20 years, working full-time while taking 20 credits in college, working full time while building my first business, getting out of debt, working 4-5 jobs at a time in my 20s, giving up dairy, recovering from an eating disorder, making peace with money, watching 2 dogs die, and the hardest journey of all…loving myself. Compared to all that, running 105 laps around a deserted track in the middle of the summer is easy! I am grateful for every hard experience in my life. It has made me who I am and has helped me become the person I am proud to love today. Embrace your challenges, love the hard parts of your life, look your fears in the face and tell them you are afraid but that won’t stop you. I know it’s cliché to say “go outside your comfort zone” but it’s such great advice. The more you push your boundaries, the bigger they become, and next thing you know, you are running a marathon like it’s a walk around the block. A very LONG walk around the block! 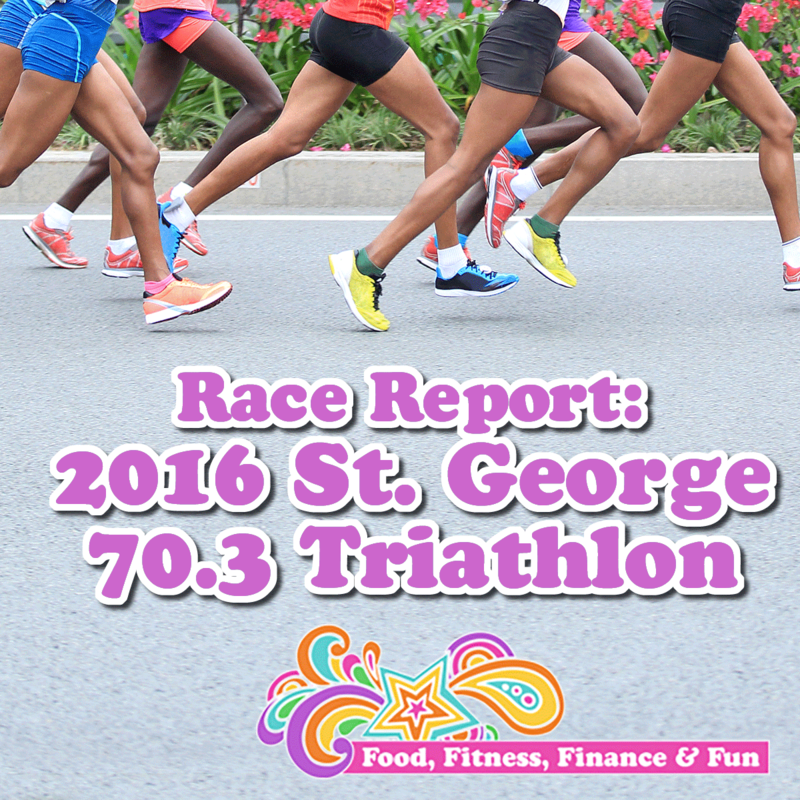 Usually I do videos for my race reports, but the other day I was looking at race reports from a couple of my friends and realized it’s more convenient for me personally to read them instead of watch them. 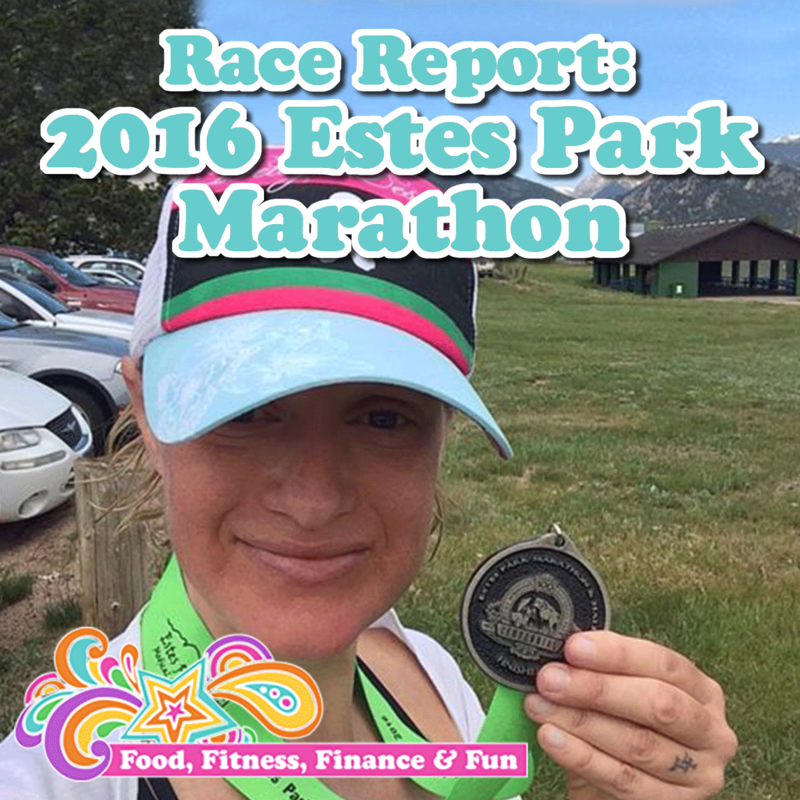 So I thought I would take a video break (for your sake) and write up my race report for the Estes Park Marathon I did last weekend. The Estes Park Marathon is my favorite marathon. I have done it three times, once in 2006, once in 2011, and once in 2012. 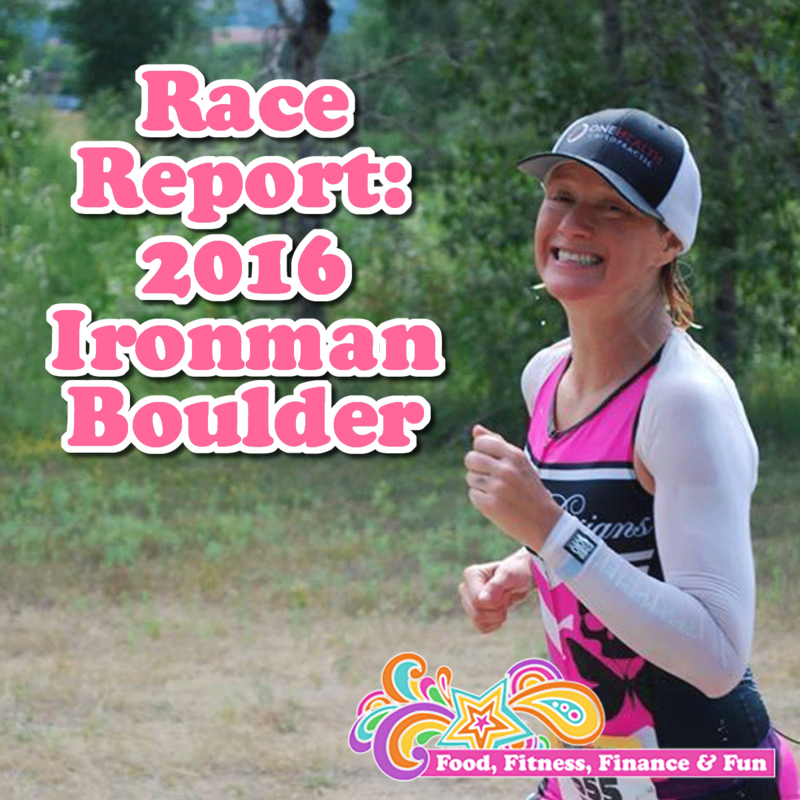 This year I was using the Estes Park Marathon as a training run for the Boulder Ironman. I admittedly haven’t been running more than 2-3 times a week this entire year, but most of that is racing so my speed is there, just not the endurance. I was most worried about my muscles and joints standing up to 26.2 miles. I have done 2 long runs this year, one after a half marathon race I ran and walked an additional 5 miles, and the other after the Boulder 70.3 where I also ran and walked an additional 5 miles. This is less training than I usually do for a marathon, but again, this was just a training run for me so my goal was to run 20 of the miles. On the positive side, I have completed 3 half ironman races so far this year, which although the run is only 13.1 miles, the entire race has been between 5-6 hours which gives me at least a good cardio fitness level. The day before the race, I decided to bike 100 miles in the Pedal for Promise century ride. I figured a long weekend of training was exactly what I needed 7 weeks out from Boulder Ironman. I rode the 100 miles slower than I had hoped (goal was 6 hours, actual was 6 ½) but managed to finish feeling pretty good. I ate a nutritious post-race meal of watermelon, vegan chocolate Shakeology, and bean/rice burritos and took a 20 minute ice bath as soon as I got home. I got to bed early with slight aches in my knees and quads that were just a little bit tired. And despite the near 100 degree temps, I managed to stay un-sunburned thanks to mass amounts of applied and re-applied sunscreen. The Estes Park Marathon started at 6am and I live about an hour away, so I had to wake up at 4:30am. I didn’t really sleep much because it had been almost 100 degrees the day before and we don’t have AC in our house. I woke up feeling a little stiff, tired, and groggy, so I chose to wear my compression tights even though the temps were supposed to reach the high 80s by mid-day. I drank my usually morning quart of water with lemon essential oil, took my supplements (B-12, iron, and probiotic) and slathered on the sunscreen just in case. I wore my long, black 2XU compression tights with a small sports bra and my DeSoto wings that are designed to keep the sun off my back and arms and keep me cool. I drank my usual breakfast of chocolate vegan Shakeology with power greens and unsweetened vanilla almond milk, grabbed a banana, Bolt chews, salt tabs, and headed up the canyon. Estes Park is a gorgeous town that sits about 7,500 feet in elevation. It’s the gateway to the Rockies, so it’s surrounded by majestic, snow-capped mountains. In the center of town is a lake. The whole thing is straight out of an outdoor mag. One of the main reasons it’s my fave. I showed up, grabbed my bib, ate my banana, and headed to the start. There were about 100 people doing the full marathon, about 600 doing the half, and many others doing relays, 10K, and 5K. All the races started at different times, so we only started with about 100. I started off easy but right away saw there were only about 10 women ahead of me, and within the first mile, everyone was so spread out and I had passed 5 of them. My plan was to go easy until mile 14 and if I felt good, pick it up. The course does a loop around the lake about 4 miles, then up a hill and around a big 10 mile loop twice, and then back to the HS track for the finish. Around the lake is fairly flat with a few small rises and falls, the big loop is half gradual uphill and half gradual downhill with a few rollers thrown in. A couple times on the uphills, I would pass people, only to be passed on the downhills by young fresh knees and hips. No problem! My goal was to run 20 of the miles, and at mile 14 I was still feeling great. Well, you know, great for 14 miles!! My joints were a little achy and my calves were starting to get tight from climbing, but all in all felt good. I was 5th female. I don’t wear a watch when I race, but there was someone at mile 14. They called out my split 2:12. For the next mile I did the math in my head and thought “OMG! If I keep this up, I can get under 4 hours” which was my “if all goes perfectly today” goal!! With that new info, my body feeling pretty good, and a long uphill stretch where I could see a couple girls ahead of me, I got my second wind. Instead of one cup of Gatorade at each aid station, I started taking two. I ate my Bolt chews, took a couple salt tabs, and picked up the pace. By mile 20 there was only one female ahead of me. I could see her with the leader bike about a minute ahead and she was slowing down at a faster pace than I was. I was now passed the last long climb and decided I would go for it. I told myself it would probably hurt…a lot, but I could do it. I picked up my pace and by mile 21 I had passed her. Now all I had to do was keep it up for 5 miles. Easier said than done, but as hard as it got, I kept pushing. I didn’t look back (but did ask the biker at one point if any women were in sight…he said no) and started doubling up my Gatorade and salt tabs again because my calves were borderline cramping. I was so close to the finish I just kept telling my muscles how relaxed they were and how amazing I was. It worked! I ran onto the track and heard the announcer say “and here comes the first place female marathoner” and the crowd went wild! Well not really, but I did in my head. I have never won a marathon before. I know there were only like 50 women who ran it, but still!! It was a hard, hilly, high altitude course and I WON!! I made my #1 goal which was sub 4 hours and even negative-splitted my time as my final time was 3:47, so my average for the first 14 was about 9:25 and the last 12 was close to 8:00 which gave me an average of 8:40 which is right at my ironman goal race pace which was PERFECT! The day was amazing! 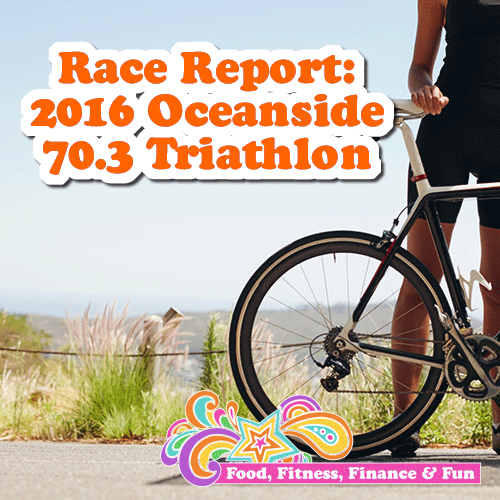 The sun stayed behind the clouds for most of the race so the temps hovered in the 70s. There were aid stations about every mile so any time I felt like I needed Gatorade, it magically appeared for me. The last 6 miles of the race are primarily downhill so I could keep moving even when every muscle in my body was screaming at me to stop. And of course making my goal time and winning were just icing on the cake!! 60th marathon in the books! And out of the 60, this was my 3rd fastest time. My first 2 fastest are both in California, at sea level, flat courses, so this race was one of my best ever! My previous Estes Park Marathon times were 4:00, 3:58, and 6:34 (when I walked it 2 months after breaking my collar bone). I hope you are loving your summer as much as I am! 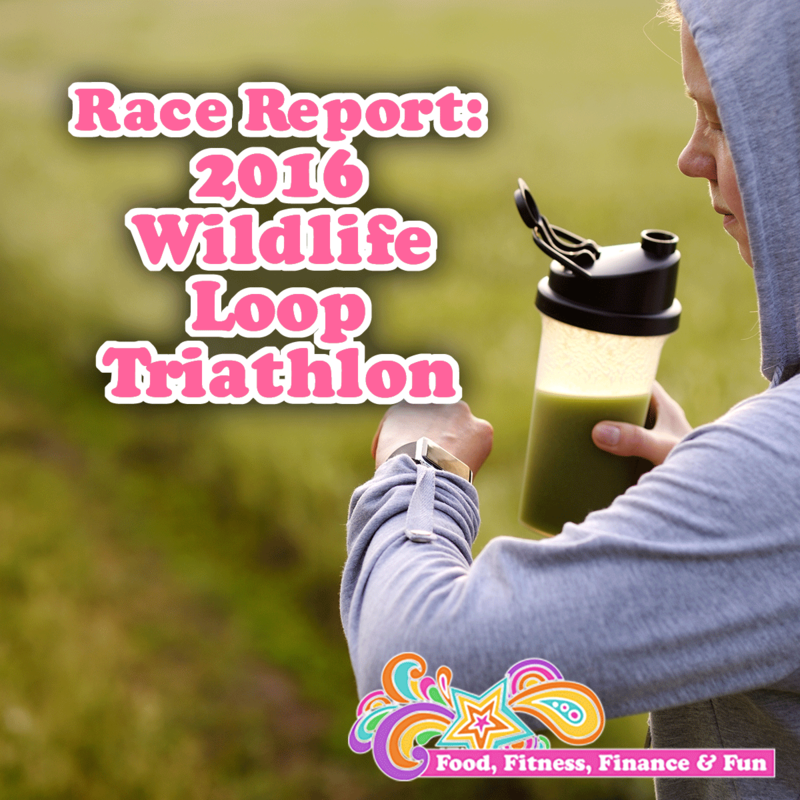 Do you need a training or nutrition plan for your next race? It’s been a month since I completed 7 marathons in 7 days in 7 states and I am still getting people asking me how it went. I wrote a couple articles on my training (How I Trained For 7 Marathons In 7 Days) and the products I used to succeed (The 10 Vital Products I Used To Run 7 Marathons In 7 Days), but I realized I didn’t have all my race reports and results in one place that was easily accessible. Disclaimer…all race reports were videoed during my post-race ice bath so they MAY be a bit shakey…since I was FREEZING!!!! 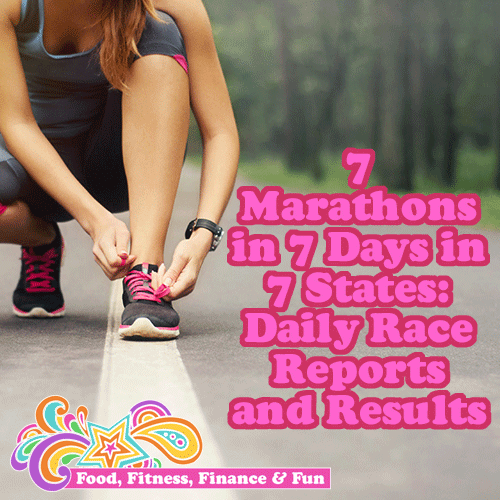 If you are interested in multi-day events, check out Mainly Marathons…THEY ROCK!!! What do you have coming up? SHARE! I love hearing about your adventures!